You want to eat healthy. You really do. It’s not until you go to the grocery store that you start having second thoughts. When broccoli is $4.99 a pound, it can be tempting to blow off the whole clean eating idea and head to the potato chip aisle, where a whole bag of salty deliciousness is only $1.99. However, deep down, you know that potato chips will not get you where you want to go. They will not help you fit into your skinny jeans, and they will not help you feel renewed and energetic. So how can you eat well without taking out a small loan from the bank? Let’s check out a few ways you can make both your waistline and your wallet happy. This seems so basic, but if you’re going to eat clean and do it on a budget, you must plan out your menu for the week. And you must be realistic. Plan for meals and for snacks. Planning may seem overwhelming at first, especially if you’re used to popping in to the store and grabbing what you need each day. However, you’ll quickly get the hang of meal planning, and you’ll wonder why you haven’t done this all along. Meal planning prevents impulse buys since you have your list, and you’ll only go to the store once or twice a week instead of six or seven times. It also helps you to think of how to use those leftovers. If your recipe only calls for a half cup of carrots, you’ll plan another meal to use up the remaining carrots instead of letting them rot in the bottom drawer of your refrigerator. Freezing leftover food is a lifesaver, not to mention a huge time saver. If you see a great deal on produce or meat, grab up as much as you can, freezing meal-sized portions for use at a later time. By roasting a head of time, 2 or 3 trays of veggies for the week, you can have a prepared high fiber, low fat complex carbohydrate ready for you to eat. However, when you buy local, in-season produce you will pay less money. What if you don’t need 50 ears of corn at twenty cents a piece? That brings us to our next point. 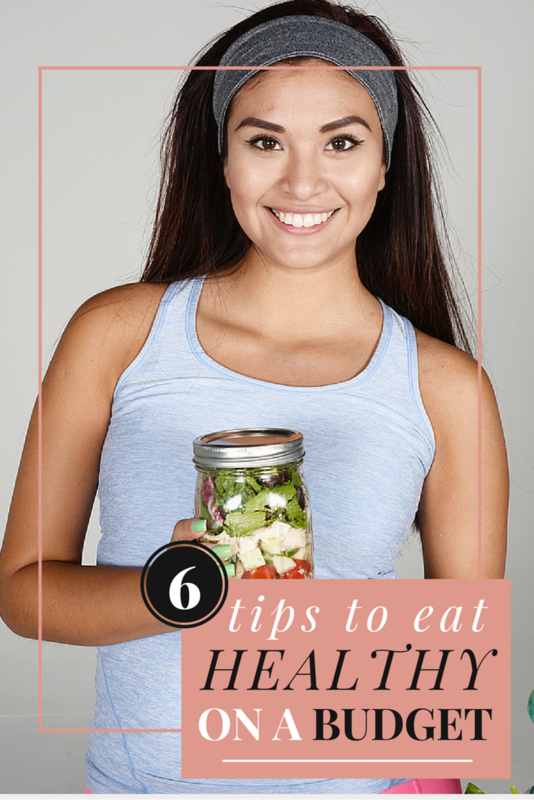 Canning is a great way to preserve healthy foods you will eat later. It’s cheap, and you’ll be thrilled to have a ready-made side dish when you’re searching your pantry a few months later. It’s true that even in season, vegetables can cost more than what you want to pay. Instead of skipping them altogether, why not start a small vegetable patch of your own? Even small gardens can produce a crop to sustain your family. Remember to can or freeze whatever you don’t use. Many families believe that fruit juice is a must-have on the shopping list. However, the reality is that fruit juice is laden with sugar, is most often not organic, and contains little to no fiber. Not only that, but it’s also quite expensive. Skip the juice and opt for water instead. Clean eating will seem like second nature the more you educate yourself on its basic principles. Ready to get started? Great! Your first step is to download our Simple Guide to Clean Eating. You’ll start out with a simple explanation of what clean eating is all about. Then you’ll download the printable shopping list, plus you’ll learn all about the dos and don’ts of clean eating. Enjoy it in good health!